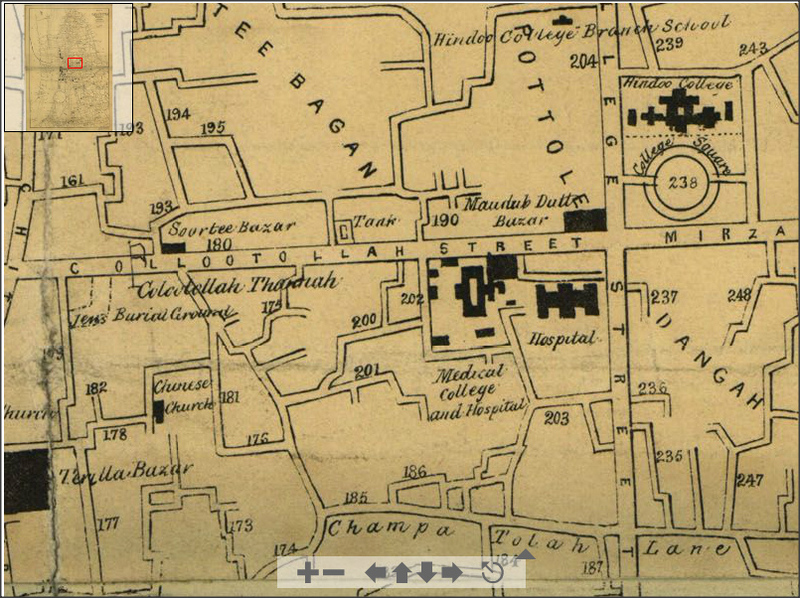 This entry was posted in Educational Institution, English Education, Vernacular Education, Welfare Institutions and tagged arpuly lane, arpuly pathshala, belayet hossain, calcutta, calcutta maps, calcutta school society, calcutta streets, champatala school, champatola lane, David Hare, dervesh ali, education, kolutola school, mirza kazim ali khan, normal schools, nurunnabi, old calcutta, Radhakanta Deb, radhamadhab bandyopadhyay, rasomaya dutta, schools, thanthania school, umacharan bandyopadhyay, william carey. Where can I find the map that you have used at the overhead picture? Can you please post the link?